At the Riley and Company blog this week Kelly is challenging us to go "OFF THE EDGE!" Thank goodness she didn't say off the deep end, because I'm afraid I am too close this week! Can we say meetings, meetings, meetings??? 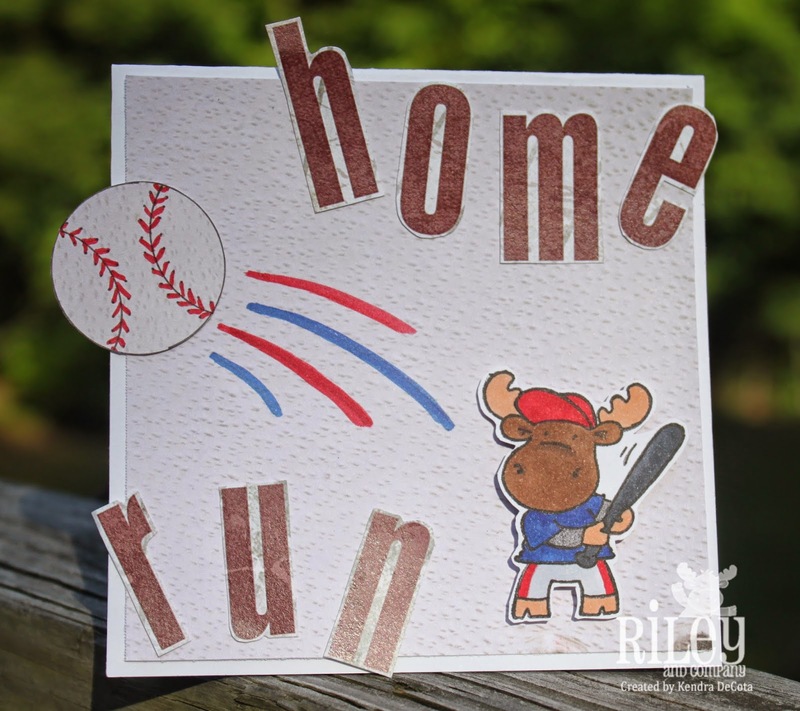 For my card I have Baseball Riley and some designer paper to make this fun "off the edge" baseball card. The background and the letters came from a designer paper stack called The Athletics Stack from DCWV. The baseball was also made out of the same paper. 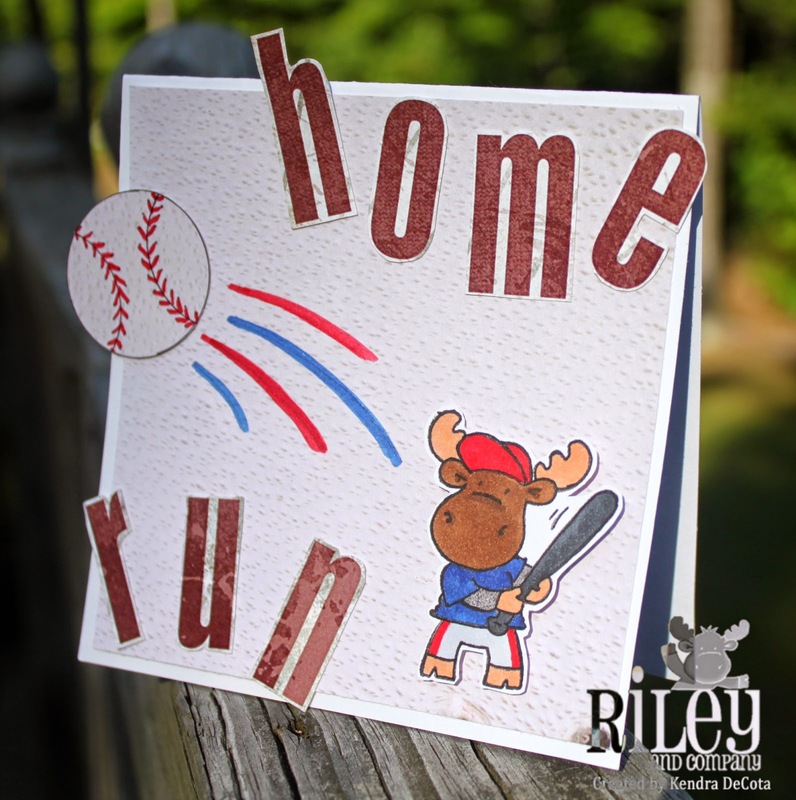 Baseball Riley you can find at the Riley and Company store of course, look HERE! Make sure you head on over and check out the rest of the design teams' blogs and leave them some love!